A home is no more just a basic need; the one you own defines who you are. Lend us your dreams, and we'll make them your reality. Are You Looking For Flats In Kochi? 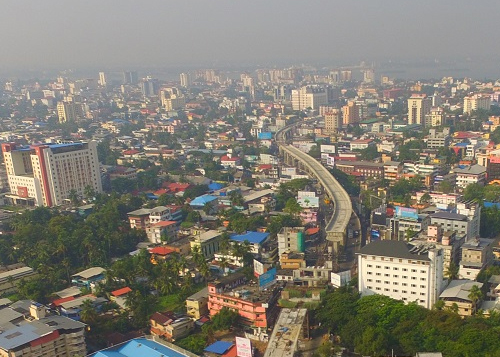 Being Kerala's economic capital, this city has never really stopped growing or changing. That said, its current transformation is nothing short of spectacular, not to mention promising for a lot of people. The outlook is particularly rosy in the real estate field, which has been inundated with home buyers who see two things that grab their fancy: the modern lifestyle, and the lively culture. It doesn't hurt either that they could gain access to superior road and rail connectivity, a recently inaugurated Metro service, an international air terminal to boot. Add to that the fact that Kochi is among the foremost tourist destinations on the globe, and anyone would want to own property here. Your choice of location can make a big difference after you set up home in Kochi. At present, the following locations are the most ripe with potential. 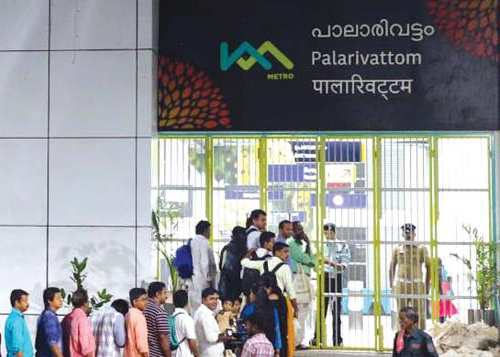 Palarivattom: Another suburb with a high growth potential, Palarivattom is also a commercial hub that serves to connect the different taluks. The real estate scene here has burgeoned into a lucrative, value-driven industry, making the place one of the main landmarks in Kochi. It is just under 25km from the Cochin International Airport, which can be reached via Volvo bus, prepaid taxi, and auto rickshaw. The Ernakulam Junction Railway Station is 5.5 km away. With the profusion of quality hotels, restaurants, worship places, tourist spots, etc, this can be a great place to live, especially if you actually own property hereabouts. Trinity Builders Latest Flats In Kochi is getting ready at Palarivattom. 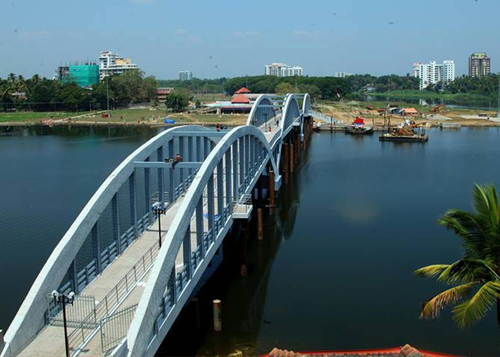 Aluva: One of the major suburbs in the district, Aluva is a proverbial gold mine for people looking to invest in property in Kochi, or even Kerala. Over the years this place has grown by leaps and bounds where infrastructure in concerned, while still retaining a measure of that relative quiet which allows for easy living. With facilities matching those of mainland Kochi's finest contrivances, Aluva is perhaps the best spot in the region to buy land or property at. Get your foot in the door early to make sure you have the best options open to you. In Aluva, We have our waterfront project- Periyar Winds at its last phase of completion. 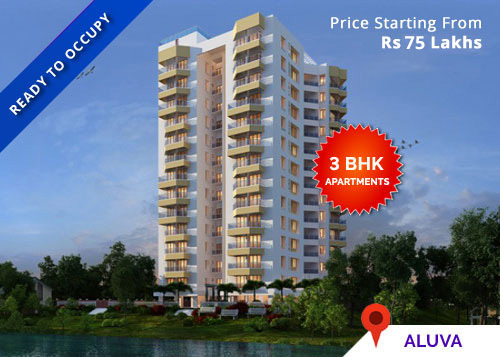 For people who are looking for flats in Aluva, this is a perfect choice. Kadavanthra: Probably the poshest neighborhood in all of the state, this area brings ideal options to home buyers operating out of varied. Kadavanthara is placed near and around numerous well-known clinics, hospitals, shopping malls, educational institutions and places of worship. These include Indira Gandhi Co-Operative Hospital, Silverline Hospital, Bhavan's Vidya Mandir, and various other institutes of great repute. All that ensures a wholesome living experience is available to people who pick this place as their home. Crowds of prospective property buyers are constantly clamoring to get their hands on houses and apartments here at any given time, which means properties sell out incredibly quickly. Another project by Trinity is Citadel at Kadavanthra. A Perfect Living Space for people looking for flats in Kochi. Kakkanad: Rightfully called the IT capital of Kerala, Kakkanad offers ideal options to home buyers operating out of almost every budget. A high-tech IT hub set up in 2004, InfoPark is a space out of which a number of global corporations operate. Its success fueled major developments in the real estate arena, causing an explosion in investments as well as locality-improving projects. 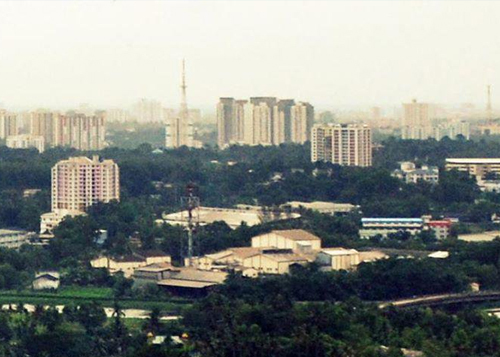 The area now has numerous residential towers dotting its vicinity, containing some of the finest apartments in Kochi. A well-laid road network eases transport, and a proposed waterway to Marine Drive promises to sweeten things even further. Aspiring home owners looking at 3 BHK flats in Kochi, would be well served to check out this place. Pick from one of these Four, and you would be raising your chances of owning a dream home in Kochi. Whether you wish for a safe place to raise family, or an investment that nets significant returns in the long run, there are plenty of options which deliver on both fronts. Trinity Builders is an award-winning construction concern with an extensive background in the business, and the drive to deliver top-of-the-line luxury apartment and villa options to customers seeking property ownership in Kochi. We aim to make changes that last, and to that end have over 10 housing projects in four prime locations, and in various stages of completion. There is no shortage of affluent housing options in a metropolitan city, and Cochin is not exempt to that norm. 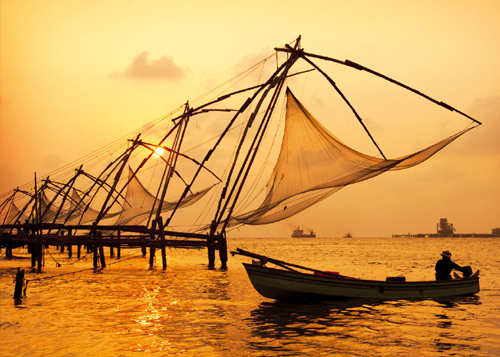 Cochin is a large metropolis and even places that fall in its outskirts form the part of the administration. This abundant real estate stock is also evidenced by the fact that there are many Luxury flats in Kochi, which you can occupy at any point in time. It is also one of the reasons why people from other parts of the state and country migrate to Cochin. Some of the best apartments in the cultural hub of Ernakulam reside in the backyards of the natural attractions, such as the Periyar River, while others are set in rather bustling places. The fact that just about every place in Cochin has high-rise towers from the best developers is a comforting factor for prospective buyers. The best apartments have a central atrium for great cross ventilation, an indoor swimming pool, intercom and other safety features. No matter where they are set, luxury apartments in Kochi have state of the art facilities that offer a great deal of comfort and convenience to the occupants. When it comes from Trinity Builders, buyers have come to expect a certain level of standard. Trinity Builders is based in Cochin, of course, and owes to give quality housings to people who come in search of an apartment to the city. Trinity Builders forays into four BHK apartments with our new project, “Trinity New Castle”. 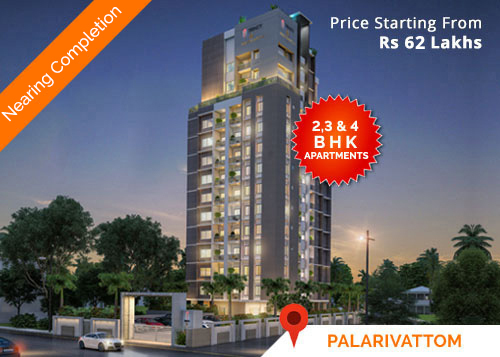 It resides in Palarivattom and offers a great deal of flexibility to apartment buyers. Now that Trinity New Castle has arrived, buyers have the option to choose from 2, 3 and 4 BHK units. Trinity Citadel at Kadavanthra offers 2 and 3 BHK apartment units to prospective home buyers. 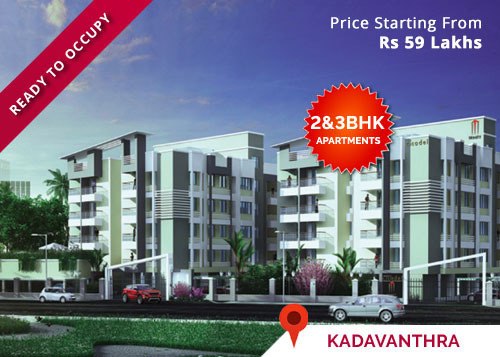 The luxury apartment project from us is set in a prime locality namely Kadavanthra. In view of the lifestyle requirements of modern residents, it offers various facilities. Trinity Builders offer an apartment project at the backyard of the Periyar River in Aluva. It is rightly named Trinity Periyar Winds. We aim to make waterfront living a new luxury in the Cochin real estate market with this high-end residential project. From the 3 BHK apartment tower, the view is simply amazing. Opposite Changampuzha Park, Edappally 682 024.